This platform consists of an overhead projection on to a glass wall. An infrared camera and illuminator array is located near the projection cone as well. 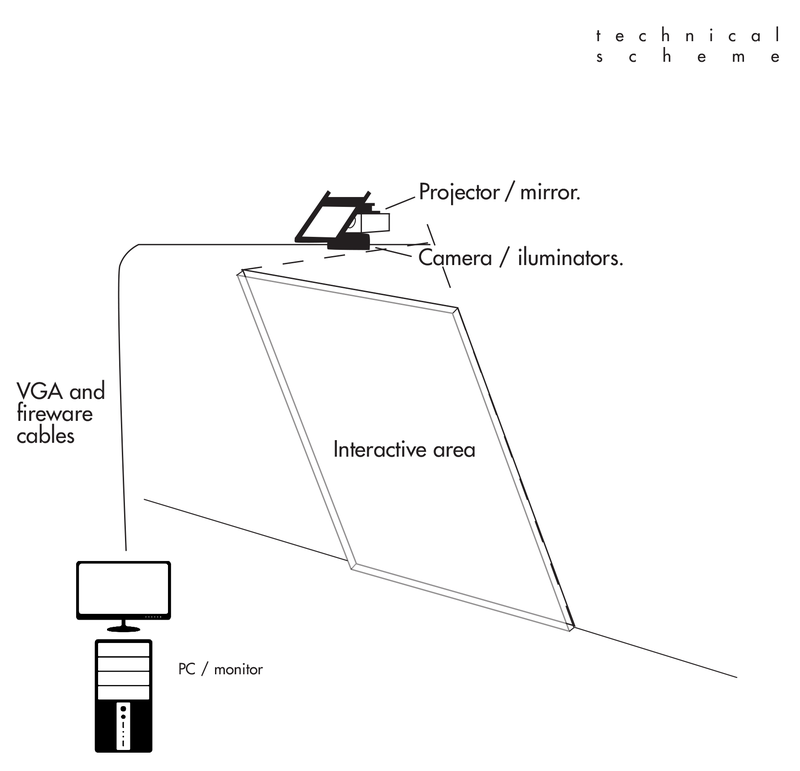 The projector and camera connect to a computer in a nearby cabinet via firewire and VGA cables.